The new Bangle watch lets you create a different and catchy expression that represents a high design factor and an extremely fine elegance, where the watch becomes an extraordinary and decorative piece of jewellery for your wrist. Design from Arne Jacobsen is just as popular now as it was throughout the middle of the last century, where many of the iconic designs were revealed for the first time. The Bangle watch is a piece of jewellery that tells you time in the most classic way – or the ultimate decorative and feminine watch. It is a clear tribute to Arne Jacobsen’s extremely productive period in the 50’s and 60’s. 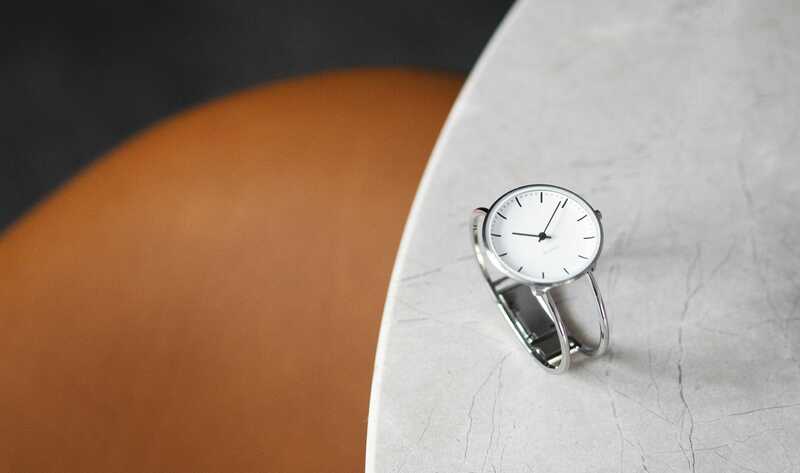 The watch is launched in a modern version of the classic Bangle watch which Arne Jacobsen designed years ago. The Bangle Watch is available in sizes 30, 34 and 40 mm in the four iconic designs: Bankers, Roman, City Hall and Station in polished steel, gold or rose gold. The bangle strap can also be purchased separately and comes with easy release. It makes it super easy for you to change the strap or dial, so it becomes just the way you want it.